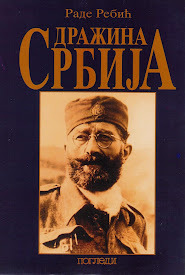 To my knowledge, the full text of the 4 1/2 hour closing speech General Draza Mihailovich gave before the court in Belgrade at his trial in July of 1946 has never been published. This is no surprise. If such a transcript exists, it is my fervent hope that one day it will be released to the public. In April of 1993, at the General Mihailovich 100th Birthday Celebration in Chicago, the audience was given the very rare opportunity to hear the voice of the General on tape, at what I believe, was his trial. The tape was generously provided for the event by Mr. Mica Radenkovich. The General's final statements in his defense comprised what was described as a "calm and dignified speech". I believe that he knew he was a dead man walking and that regardless of his guilt or innocence, this "trial" in Belgrade was the end of the road for him. 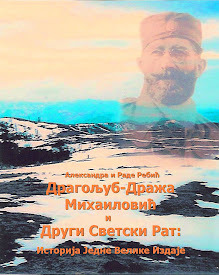 In the 556 page book released by the State Printing House in Belgrade covering the Mihailovich trial, less than 1,000 words, it is said, are devoted to the Mihailovich defense. That would amount to less than 10 pages out of 556. The 4 1/2 hour closing speech was given "even more cursory treatment" in this 556 page book. 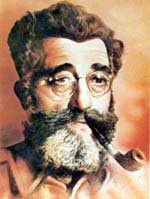 Is there anyone there who can locate the transcript of the Mihailovich defense at his 1946 trial? I want to believe that it does indeed exist somewhere, someplace. And the "556 page" book needs to be revised. The extract of Mihailovich's closing speech published below was put together by the editors of "General Mihailovich, The World's Verdict," from the dispatches of the correspondents of two major London newspapers: The Times, and The Daily Telegraph and Morning Post. "In the First World War I was wounded and received medals for valour. I stayed at the front all the time when I could have left it. I never used brutality to the enemy, still less to my own people. As Military Attache between the wars I was one of the few who visited the Soviet Embassics. I was always against our old regime and tried to find the moment for revolt, but the General Staff were corrupt and would do nothing. I had contacts just before this war with the British Military Attache, Major Clark, for which Nedich punished me with 30 days' imprisonment. I loathed and hated the Germans, fobade Nazi meetings, and strove to rouse and train our youth for the fight I knew must come. I wanted to modernize our army, and was imprisoned again for my efforts. When war came and our front broke I was left with a broken- spirited people and with a legacy of the rottenness of two decades. I went into the forest and told the people to hide their weapons. I wanted to continue resistance, and thus I became a rebel against Hitler's Germany. At that time only England and I were still in the war. I proclaimed that my army would be a Yugoslav Army. 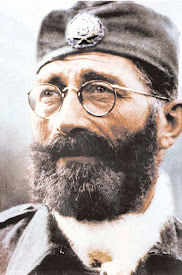 Some of my subalterns wished to have only a Serbian Army, but I proved to them the greatness of Yugoslavia as an idea. Other commanders would not accept this. 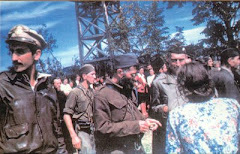 Partisans appeared immediately when Soviet Russia entered the war. The Germans began to take reprisals, and some of the people begged me not to emerge. My first success was when ten plunderers come over to me. I had an action against the Partisans, who, peasant women told me, had been pillaging. I released those I captured, and warned them not to behave in that way. I had three meetings with Marshal Tito, to which I went sincerely. I told him I believed we could come to an understanding, and that both sides had made mistakes, but unfortunately we spent our time in mutual accusations, and even before I met him the battle had begun. The Germans began to withdraw and I decided to attack. It is not true that I gave orders not to attack. I had little material, and had to tell some officers who wished to join me to stay in Belgrade. My first contact with the outside world was by the Soviet Legation in Sofia; my second by wireless made by an amateur. After this, Captain Hudson arrived from Britain with a message that I was not to transform the struggle into a fight for the Soviet Union, and announced that all troops in Yugoslavia were to come under my command. I had wanted to send units to their areas, but the Partisans attacked, lost territory, and had to leave Serbia, as I had known would happen, as they were led by inexperienced men. I deny that I had ever handed over Partisan prisoners to the Germans. The blame lies therefore entirely on the witness who had given eviderlce against me, and was, in fact, a collaborator. German repisals had been terrible, and I had seen flames burning the villages. My 5,000 men were not anything against five divisions. I told the London Government but got no instructions, and so I went myself with two others to the meeting. We took grenades in case of treachery from the Germans. The Germans would not parley. All we got from them was demand for unconditional surrender, and I was called a rebel. I was astonished, and said I was fighting for my country, and they must as soldiers understand this. I was afraid that one of my two commanders would throw his grenade in anger. I refused to drink wine with the Germans, and there was no agreement. I told the Germans I would fight. This is a true account of what happened, which one of the witnesses mixed up. 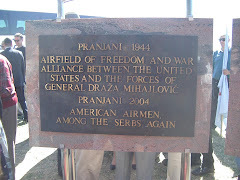 Very soon after the Germans attacked my headquarters on Ravna Gora and killed many of us. I escaped by their lines. Once they passed within a few yards of me, but I was covered over with leaves. Some of my commanders, against my orders, collaborated, others fought one another, others tried to put a rival in my place. 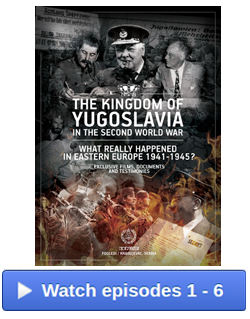 Jurich, now a Colonel in Marshal Tito's Army, who had given evidence against me, had failed to carry out several orders for sabotage, and the people under him had finally turned against the woman, Vera Peshich, who lived at Jurich's headquarters, and killed her, and Jurich had then gone over to the Partisans. The Partisans had 20 years' experience of underground work, and I had to take things as they were and improve with what I had. I had many hindrances, and little time to do as I intended and put the organization in order. I deny that I had ever had a representative at Italian headquarters. I had never ordered action against civilians, and could not ever approve it. I cannot believe that such a thing happened as we heard it in Court, even less in any unit of mine. The 'Black Troikas' were necessary to clean up my own organization, and I could never have favoured killing any man without trial. I tried to make contact with those people in neighbouring countries whom I hoped to link up in one Balkan organization. Colonel Bailey had sympathized with the idea of making contact with Colonel Zervas in Greece, but the British authorities had been against it. 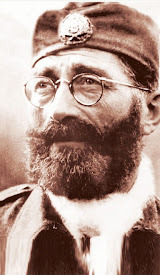 I had refused arms from the Rumanian Iron Guard when they made it a condition that I should cease fighting the Germans. The whole purpose of these contacts was a rising against the Axis. I reminded the Court of Hitler's message to Mussolini saying that I was the greatest enemy of the Axis, and was only waiting for the moment to attack. The British Mission left me. Colonel McDowell, from the American Mission, stayed with me, and told me that my fight against the Germans was no longer interesting, but I must stay among the people. Finally, with 70 per cent of my men ill with typhus, I was losing more and more ground and the Red Army was approaching. My wish to send them a Mission came to nothing. My other meeting with the Germans, with Colonel McDowell, had been to negotiate a surrender of German arms and not for collaboration, and I had never ordered any legalization of my troops. I had hopes that at the end of the war there might be some kind of plebiscite of the whole nation. I wanted nothing for myself. The French Revolution gave the world the Rights of Man and the Russian Revolution also gave us something new, but I did not wish to start today where they started in 1917. 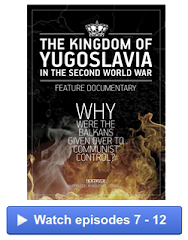 I never wanted the old Yugoslavia, but I had a difficult legacy. I am a soldier who sought to organize resistance to the Axis for our own country and for the rising of all the Balkan peninsula. I am sorry that anyone should think I have been disloyal to the Government, but documents exist concerning that. 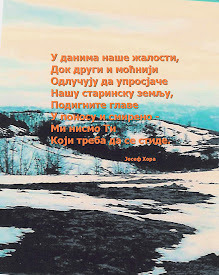 I was cought in a whirlpool of events and the movements of the new Slav unity which I have favoured for a long time. Believing that the world would take the course of the Russian Revolution I was caught among the changes of the Western Democracies. They are for our peoples' good, and so are the Russians. I had against me a competitive organization, the Communist Party, which seeks its aims without compromise. l was faced with changes in my own Government, and accused of connections with every possible secret service, enemy and Allied. I believed I was on the right road and called for any foreign journalist or Red Army Mission to visit me and see everthing. But fate was merciless to me when it threw me into this maelstrom. I strove for much, I undertook much, but the gales of the world have carried away both me and my work. I ask the Court to judge what I have said according to its proper value". "His speech, which lasted till nearly midnight, was delivered with simple dignity. When he finished, the courtroom was silent". "He spoke without oratory, without rancour towards political opponents or private enemies, lucidly and in detail. It was a professional soldier presenting a military report, compelling because of its simplicity. He showed himself throughout respectful of the court and oblivious of the crowd, who, for once, forgot their hisses and listened in complete silence". God bless this man and I hope one day the world will come to Know of his true story.Serbia and her people should never forget this martyr. 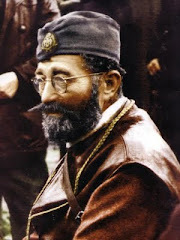 The rehabilitation of Draza Mihailovich's image is only partially realized in Serbia today, and sadly, this will most likely be the case for generations to come. For this reason, it is most important that we strive to continue to keep the record straight, protect his legacy, and teach future generations in the diaspora about him so that he did not sacrifice and die in vain.